Numerous types of businesses, institutions and individuals pay parking lot cleaning businesses for their services. With this in mind, entrepreneurs like yourself can profit by starting up parking lot cleaning companies. If you choose to do so, you will gain access to multiple opportunities regardless of your location. Schools, real estate offices and malls all want to keep their premises clean. If you share a town with an education franchise, starting up a parking lot service could be very profitable. When entrepreneurs enter an industry that provides assistance to all types of companies, they earn a good income. 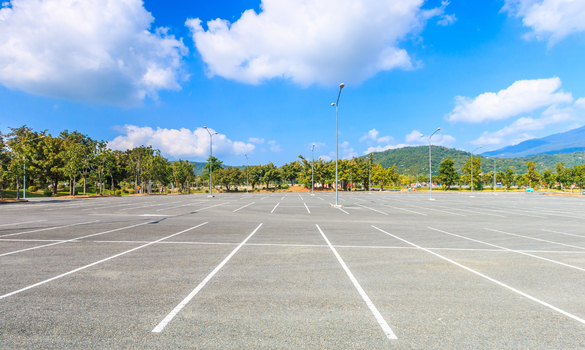 Read on to learn the steps to start a parking lot cleaning business. Firstly, register your business to start a parking lot cleaning company. To do so, choose a business entity type and fill out your state’s appropriate paperwork. If you register as a corporation, you set yourself up to open a corporate account. When parking lot cleaning businesses open up such an account, they receive their payments from customers efficiently. More so, they gain more customers. Because the associated processes are much smoother when working with corporations, local businesses favor them over smaller parking lot sweeping companies. Your value as a startup will increase if you register your parking lot cleaning business as a corporation. Successful parking lot cleaning businesses create financial plans at the beginning of their startup journeys. You will need to purchase expensive equipment in order to provide services. Furthermore, you need to hire employees to complete jobs efficiently and take on more customers. Consider these costs when calculating how much you need to startup your business. Once you have an estimate for your startup costs, look into your sources for funding. You can turn to your local bank or an investor for finances. As long as you create a budget plan, you will succeed with the money you receive for your startup. In order to provide parking lot cleaning services, you need to acquire the proper equipment. Determine the best sweeper on the market. You do not want to spend your entire budget on one piece of equipment. However, you do need one that is both reliable and durable. If you buy a cheap sweeper that is poorly made, you will end up spending more money down the road for repairs. You could even end up having to purchase an entire new sweeper if the damages are bad enough. One day, you will be cleaning parking lots for serviced offices for startups. The next, you could be spending your profits on new machinery. Save yourself the time and money by purchasing a good sweeper from the start. With the best tools, you will be able to provide optimal parking lot cleaning services. Before you can provide such services, you need to determine who your prospects are for your business. Your prospect list will differ depending on your area. Entrepreneurs who live in the city will likely have access to parking garages, apartment complexes and banks. Those who live in rural areas usually provide more services to schools, golf courses and grocery store lots. Both rural and suburban areas have storage franchises that could use your services as well. Evaluate the area you plan to establish your business in. Speak to the local businesses and find out if they could use a parking lot cleaning service. Consider changing your location slightly depending on the feedback you receive. If you use the information wisely, you will startup your parking lot cleaning business with a quality list of prospects. In addition to the above steps for starting up a parking lot cleaning business, you need to build an online presence. Most companies who need services of any kind turn to the internet. They use popular search engines to find the best companies who can provide them with what they need. If you want to gain customers and beat out any local competition, you need to create a website. Find a quality web host provider and buy a relevant domain name. If you are not skilled in website development, hire a developer to create your site for you. Provide them with any design preferences you may have. Build a website during the startup process to create an online presence that will get you noticed by potential customers. You can startup a parking lot cleaning business rather easily. To begin, register your business as a corporation. Then, develop a financial plan by calculating the necessary expenses that you need to obtain funding for. Purchase quality, reliable equipment to provide the best services. Conduct research on businesses near you to create a prospect list. Finally, build an online presence to advertise your brand. Follow these steps to start a profitable parking lot cleaning business.